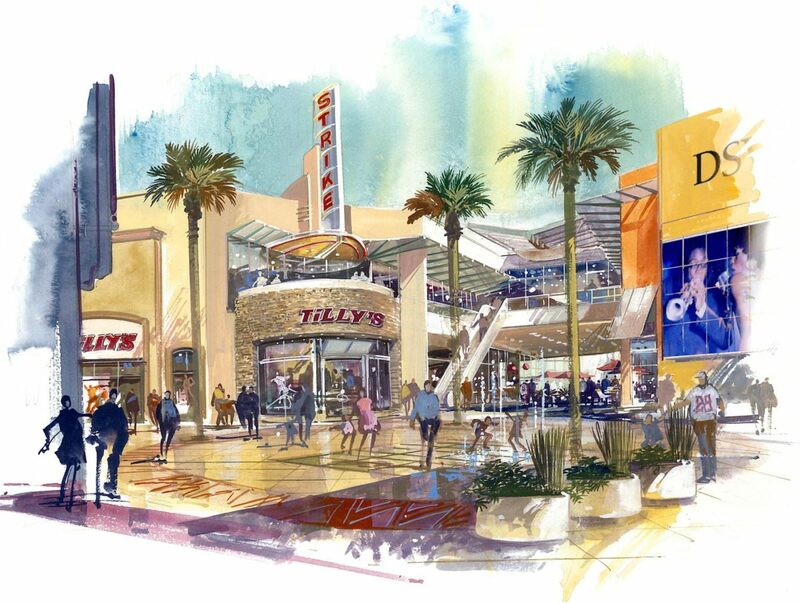 A 1,000,000 square foot (92,903 square meter/139 mu) Lifestyle and Entertainment Retail Village spanning 88 acres (36 hectares), The District at Tustin Legacy will be Orange County’s newest retail destination. 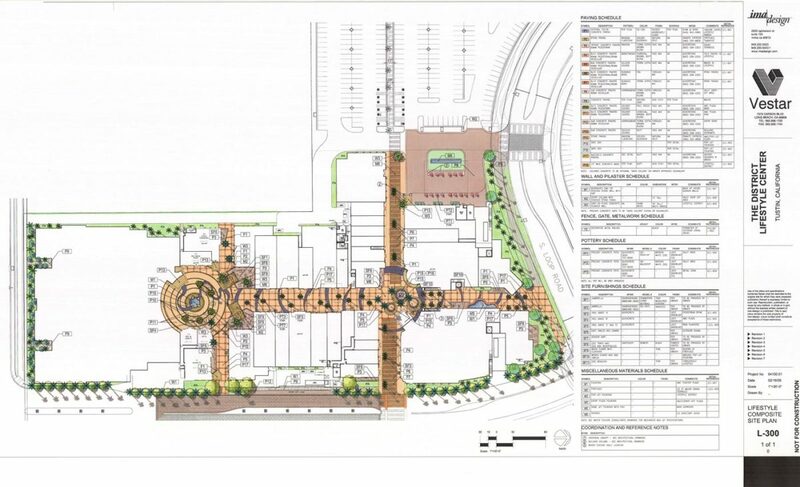 The heart of The District is the retail and entertainment village, a series of inwardly facing restaurants, stores and boutiques linked together by shaded plazas. 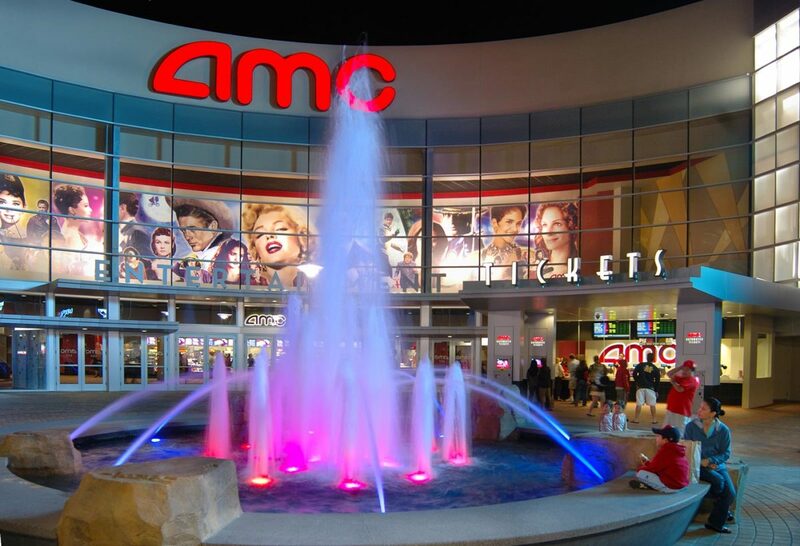 The landscape design features pavers embedded with colored glass which shimmer with sunlight. Overhead, shade trellises and loggia are covered with colorful bougainvillea. Customers walking through the site will enjoy a visual gallery of plants, including birds of paradise, day lilies and foxtail agaves. Interactive water features and a play zone with bubbling water blasts will delight youngsters and the young at heart. Guests can linger over coffee around two large fireplaces ima surrounded with overstuffed furniture, ambient lighting and fragrant gardens. 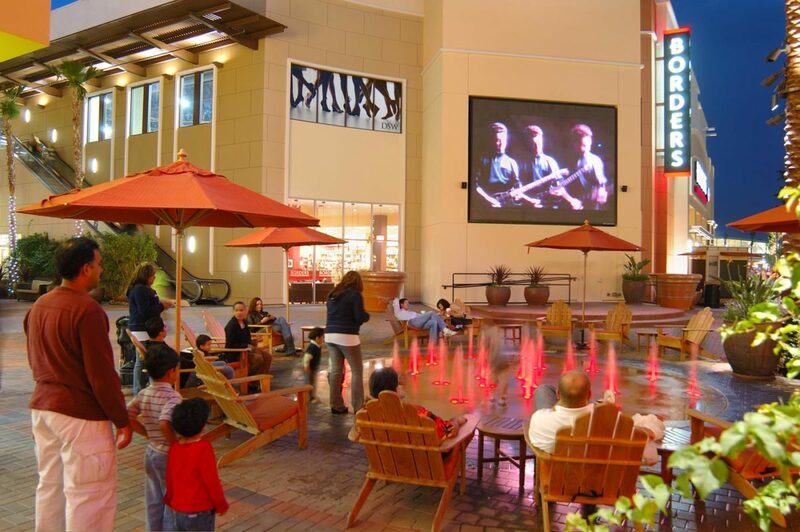 A performance stage offers an opportunity for live entertainment and social gathering.